Pro Printer Repairs Brisbane are your one stop shop for everything print. We are the true printer & photocopier service specialists. We don't look after computers or cash registers and general office equipment. All we do is printers, copiers and wide format plotters. We offer all services including sales, service, repairs, spare parts, toner, ink, rentals, lease & service/maintenance agreements for all ink jet, laser and digital office printer equipment. 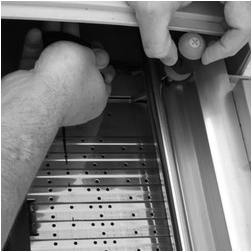 Our approved repair technicians are trained to the very highest industry standards.If you need your printer or photocopier fixed and your in Brisbane you need to call the printer professionals. We offer on site repairs on all leading printer brands including HP, Canon, Brother, Epson, Samsung, Kyocera & many other industry leading manufacturers. 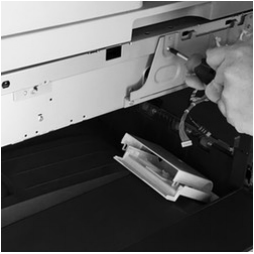 Express on-site repairs for most leading photocopier brands Including: Ricoh, Xerox, Canon, Konica Minolta, Sharp & Toshiba & many other leading brands. Pro Printer Repairs are Brisbane's premier HP Designjet Service & Repair Specialists. We also service wide format plotters from Canon, Epson, Ricoh & Oce. Need A New Office Printer Or Photocopier? Majority of homes and small business have a small laser printer or ink jet MFP these days. Whether your home office printer is jamming or the kids can't print their homework our ink-jet printer technicians will have the problem solved quickly and at a very low cost. Our clients have told us we are among the best value for money anywhere throughout Brisbane. You need your photocopier fixed quickly when it breaks down. We understand that the copier is no longer just a copier. Your photocopier is the hub of your business controlling printing, scanning, archiving and usage monitoring managed services. When your copier breaks down and you need it repaired urgently call Pro Printer Repairs Brisbane on (07) 3096 0366 for no obligation service advice or to arrange an express on site repair service. Pro Printer Repairs Brisbane are your HP Designjet Specialist's. For all your A1, A0 & all large format printing requirements call our office and ask to speak with our wide format team. Our technicians specialise in HP Designjet Wide Format Plotter & Printer repairs but also work on Epson, Canon & Oce wide format devices. You need your receipt printer, cash register printer, kitchen printer or POS printer. It is a vita part of your business process from barcode printing to providing clients with receipts & invoices. 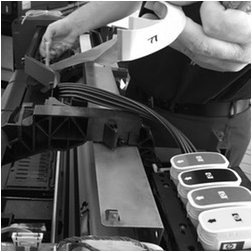 We understand the importance of having your receipt printer running well and keep your POS system flowing, after all when your receipt printer breaks down every hour it is not fixed is costing your business money. We provide service on all brands of printers but we specialise in Zebra printers, epson receipt printers and brother receipt printers.